A selection of the greatest top 10 artists of all time. 1. Leonardo Da Vinci (1452–1519) Renaissance painter, scientist, inventor, and more. 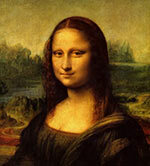 Da Vinci is one of most famous painters in the world for his iconic Mona Lisa and Last Supper. 2. 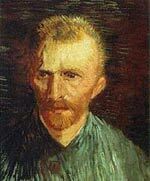 Vincent Van Gogh (1853–1890). Dutch post-impressionist painter. Famous paintings include; Sunflowers, The Starry night, and Cafe Terrace at Night. 3. Rembrandt (1606–1669) Dutch Master. One of the greatest painters, admired for his vivid realism. Famous paintings include The Jewish Bride and The Storm of the Sea of Galilee. 4. 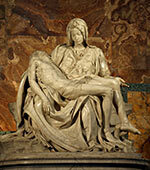 Michelangelo (1475–1564) Renaissance sculptor, painter and architect. Famous paintings include his epic ceiling mural on the Sistine Chapel. 5. Claude Monet (1840–1926) French impressionist painter. Famous paintings include Waterlilies, Women in Garden, and Impression Sunrise. 6. Pablo Picasso (1881–1973) Spanish, modern ‘cubist’ painter. Famous works include Guernica and Bird of Peace. 7. Raphael (1483–1520) Italian painter. Raphael, da Vinci and Michelangelo make up the high Renaissance trinity. Famous paintings include Mond Crucifixion and The Wedding of the Virgin. 8. August Renoir (1841–1919) French painter, one of the early pioneers of impressionism. Also influenced by Italian renaissance. Famous works include Dance at Le Moulin de la Galette and On the Terrace. 9. Jan Vermeer (1632–1675) Dutch painter who specialised in genre painting – vivid depictions of still life. Famous paintings include View of Delft, Girl With a Pearl Earring, and The Milkmaid. 10. Paul Cezanne (1839–1906) French post-impressionist painter. Famous paintings include; The Card Players and Still Life with a Curtain. Citation: Pettinger, Tejvan. “Top 10 Artists”, Oxford, UK. www.biographyonline.net, 23rd May 2013. Last updated 1 March 2018. 10 Greatest paintings of all time. Including the Mona Lisa by Leonardo da Vinci, Creation of Adam – Sistine Chapel by Michelangelo, and Poppies in a Field by Claude Monet. 10 Greatest works of art of all time. Including the Pieta and the Statue of David by Michelangelo, Ecstasy of St Therese by Bernini, and Sunflowers by Vincent Van Gogh. Famous artists – From the High Renaissance to impressionists and modern artists. 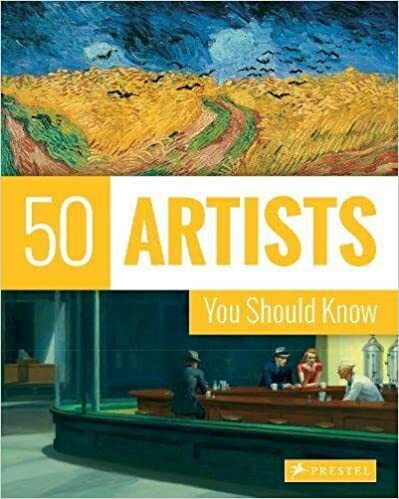 Includes Da Vinci, Van Gogh, Rembrandt and Caravaggio.